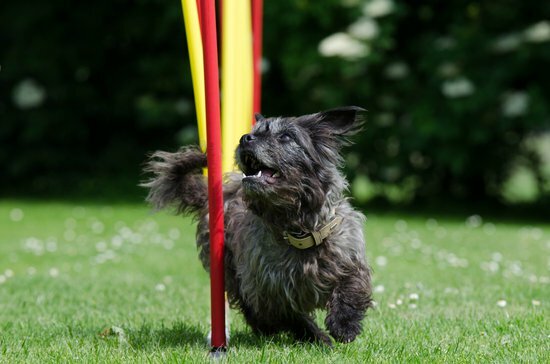 Home News DIY DOG AGILITY COURSE THAT YOU CAN MAKE AT HOME! Dog Agility training is an amazing sport that is great for the dogs mental and physical health no matter the difficulty of the course. This is why it is gaining popularity once more as an effective tool to train dogs to listen while also getting their energy out. Sometimes it can be hard to get involved however as dog agility courses may be hard to find or now where you'd like to start your training. Luckily creating your own DIY dog agility course is completely viable right in your back yard! These obstacles consist of a tunnel, weave poles, a tire jump, hurdles, a dog walk, a pause table, and a see-saw. For each of these obstacles, I will say what materials we recommend but this doesn't mean they are the best option. Feel free to use what you'd like to best work for your dog and your back yard. This is just a rough idea of some of the things you'll need and how to build them right at home! 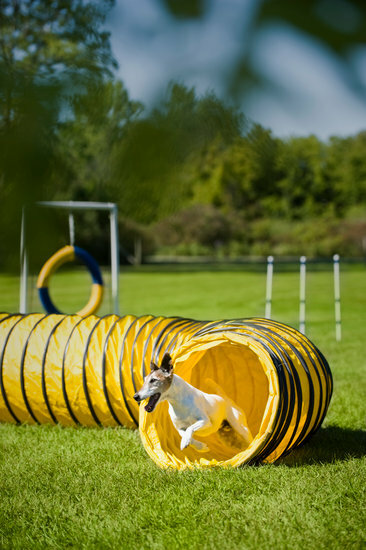 No dog agility course is complete without its own tunnel where the dog can crawl right through. Luckily this obstacle can often be found already made anywhere where children's toys can be found. A collapsible tunnel is a common children's toy that is near identical to a dog agility course and can be found for around $20 at a local store. Some people would like to avoid this however so an alternative would be a long cardboard box big enough for your dog to crawl through but small enough to be an obstacle still. The next part of the dog agility course we will cover are weave poles which are anywhere from 6-12 poles that sick up out of the ground taller than your dog and spaced evenly and far enough to where your dog is able to weave. These can be made out of many things from PVC pipe to yardstick rulers depending on what you have available to you. This is a fairly simple obstacle that only requires these poles and the ability to stick them in the ground. A tire jump can be whatever you need it to be if you want to use a real tire we recommend a bike tire as they are approximately the right size similar to the background of the photo above. There are two methods for this obstacle the first being tying it to a tree branch to a rope and the other making one. If you want to make one simply duct tape one to two pool noodles together to form a ring, then create a PVC frame to hold this ring about jump height. The frame can be whatever shape you need it to be to work for your dogs but we found that making two “T” shapes place upside down with the ring attached in between them worked pretty well. 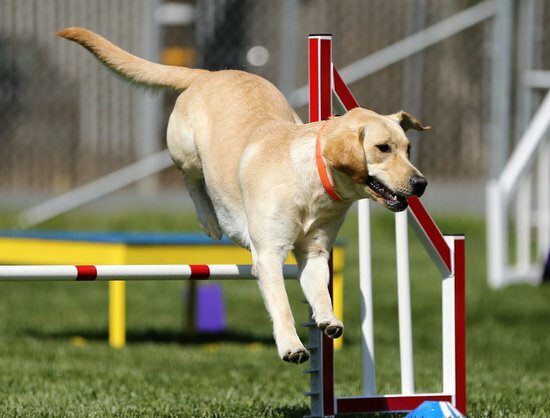 A hurdle is simply the obstacles where your dog will jump over a horizontal pole of some sort. These can again be made out of whatever you need to make an effective hurdle but we found success in creating a PVC structure about jump height for our dogs. Just make two “T”s and place a PVC pole in between them to where it stands on its own. These should be just about chest height for your dog for quick hurdling. The next obstacle in our DIY dog agility course is the pause table which is meant as a place for your dog to jump up and stay for a moment before they proceed. This is basically a short table which is why we simply used our old coffee table for this step. If you are interested in making one you can simply attach a square piece of plywood to some short legs made out of PVC or more wood. If this is still not an option a simple laundry basket turned upside down can work as a viable option also! The most complicated obstacle on our list is easily the See-saw due to what is actually required of this step. A see-saw is a ramp that the dog will run up and then it will teeter to the other direction where your dog can then go down the ramp. If you own a teeter-totter this is a similar idea but should easily run across by your dog. What you will need is a piece of wood around 10-12ftX12in along with some PVC pipe. First, you will want to make a frame of the PVC pipe into two squares with PVC connecting them at the two bottom corners and one at the top in the center. This should now be a cube with one side only being connected by the corners, Make sure the place where you will put the wood is around 14in to ensure the wood will fit and be able to teeter. Now you should have what looks like a teeter-totter that will work as our see-saw. 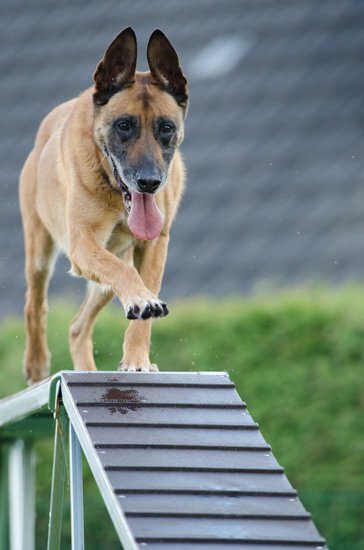 The final step which is optional is to make sure your board has either grip tape or paint to ensure your dog won't slip as they run the obstacle. 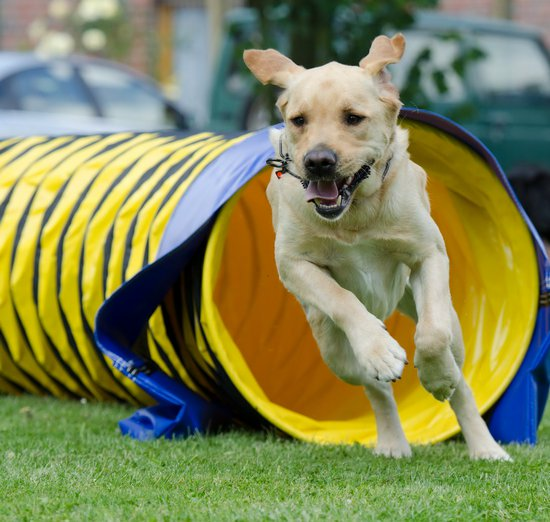 Now you should have every part to your dog agility course and the only thing left to do is set up the obstacles and start practicing. 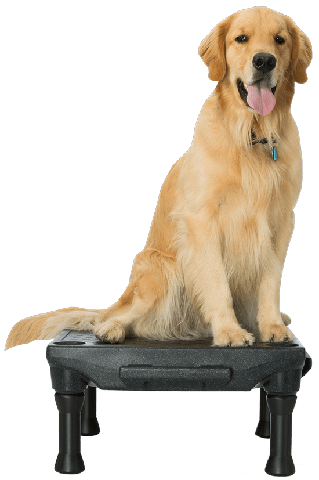 One thing to make sure is that all of your obstacles are safe and can withstand the weight of your dog to ensure the safest practicing. 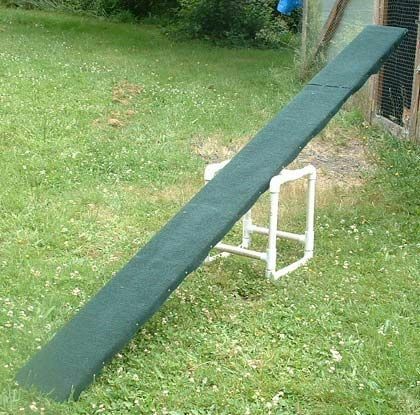 Building this is not an easy task but having your own DIY dog agility course in your back yard will be a great addition for both you and your dog where you can train in peace. If you've made any of these obstacles before and have some words of wisdom feel free to leave a comment to help your fellow agility trainers out! Also be sure to share this post so others can get these sweet DIY tips for their own dogs.